When I was bike racing, my summers took on a particular, familiar rhythm of training and traveling and my modeling was very seasonal - mostly autumn, and a bit through winter (when I wasn't on the trainer). But since we're no longer spending summer weekends at races, and Connecticut's economic tough times continue to take a toll, we're doing a lot more "staycationing" these days. 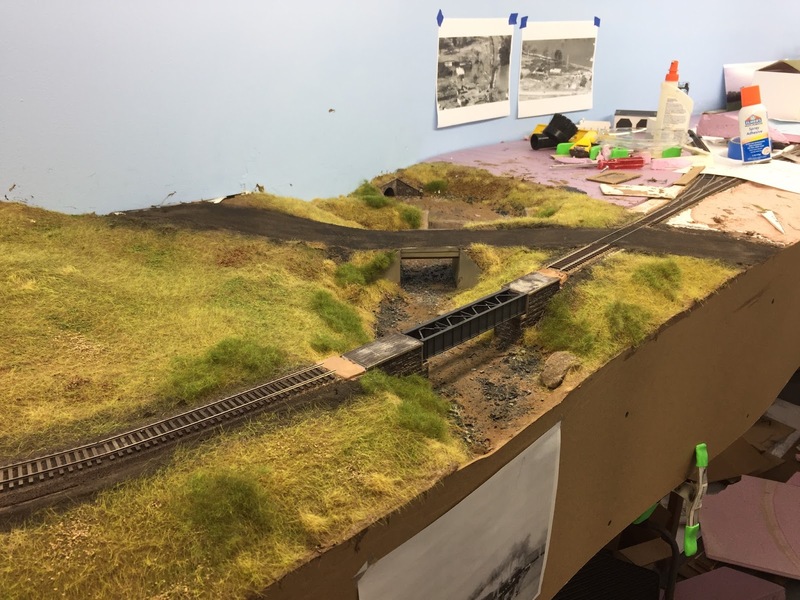 And the happy benefit of that is more time working on the layout. So this past weekend - aided and abetted by September-like weather - I made some more progress in East Berlin. But first, there was a little regress . . . This is what happens when you get a little too, um, aggressive in trying to get rail heights to match. As you can (maybe) see, I have transition joiners here (Code 83 on the bridge, Code 70 main) and the code 70 was still just a little too low. 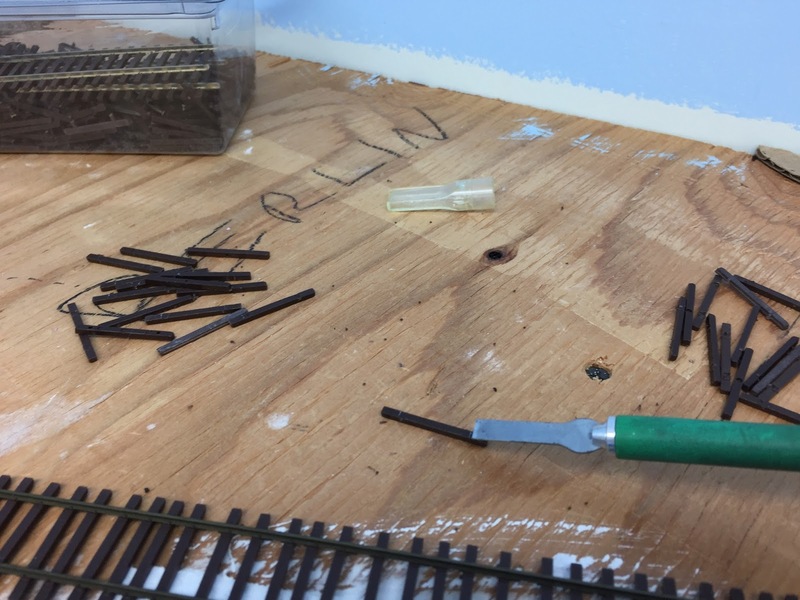 So out came the pliers to pull up the rail "just a little bit" and SNAP! went the side of the joiner and up came the rail. ARGH!! Once that bit of surgery was done, it was time to get out the surgical cloth and fill in around the abutments. Ground goop will be the next step here. But not being quite ready to tackle that (and the riverbed, which I've never done before), I turned my attention to the end-of-track area - where the brickyard will be. Including a brickyard at this location is an admitted exercise of modeler's license. While there were brickyards along the Berlin branch, there were none at the end of track, but I had no other place to put one and want to be sure and have this important local industry represented. 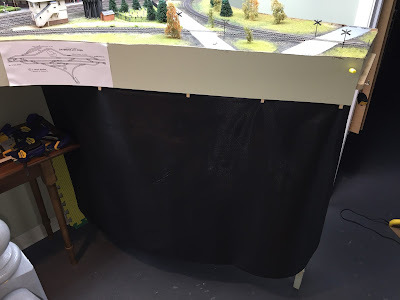 Problem was that the foam "hill" I'd put in the corner (primarily to cover a huge gap between the backdrop and the layout base) wouldn't allow enough room for even a tiny representation of a brickyard. So I started whittling it down . . .
With the new clean(er) slate, it was easier to re-imagine the area. I know nothing at all about brickyards, but I hear that the kilns typically used in New England are much different than what's used out in the midwest. Unfortunately, there's not much online picture-wise to help either. But as luck would have it, the mailman had just delivered Tony Koester's "Space Saving Industries for Your Layout" and there's just a little bit in there about the brick industry (his dad worked at a brickyard in Indiana). 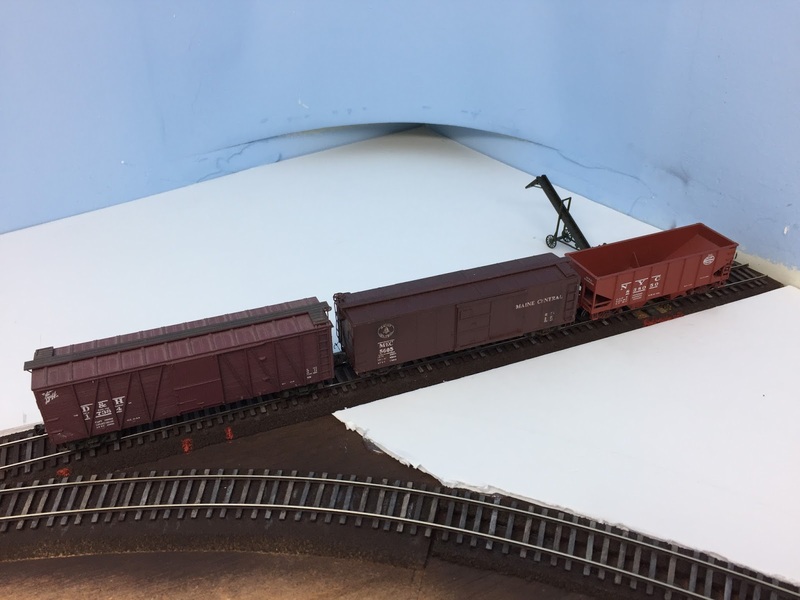 Turns out, all I really need is a place to dump coal (to fire the kilns) and a place to load boxcars. If I can come up with a reasonable facsimile of a kiln, stack and office I'll be in (the brick) business! I decided to tackle the track problem first though, by adding a coal dump . . .
Again, I didn't want to remove track which is already painted/weathered - and it turns out that there's a support riser right under this spot (really?! what were the chances...) So I just took out my xacto, trimmed away the cork and voila! instant drop pit - sort of. 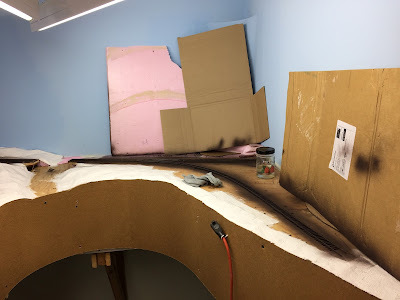 You can barely make out the marks where I plan to remove the foamcore to make more of a pit/unloading area. 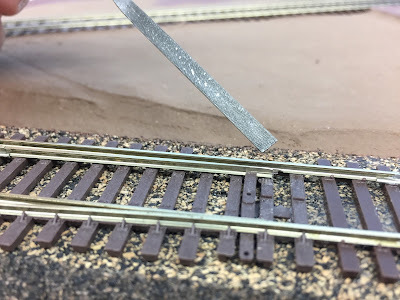 I'm using foamcore to "backfill" & raise terrain to effectively "lower" the track. 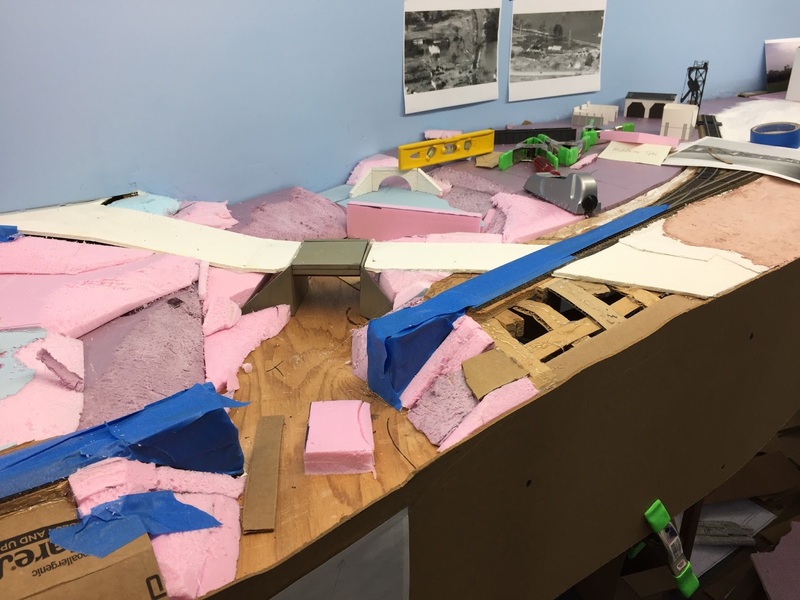 Next, I wanted to see how this track would accommodate the cars the industry would need. On the prototype, this track was the mainline that at one time continued to the Kensington section of Berlin, CT and connected with the Hartford-Springfield line. But by the late 1940s, the main had been cut back to East Berlin - just "off scene" to the right - and AFAIK was used for car storage, primarily for Stanley Chemical (the reason the line continued this far). I figured this historical fact would allow a plausible use of this track to serve the brickyard. Maximum track capacity here is 3 - 40' cars, plenty for a small brickyard, and probably more than the typical traffic (1-2 cars at most). 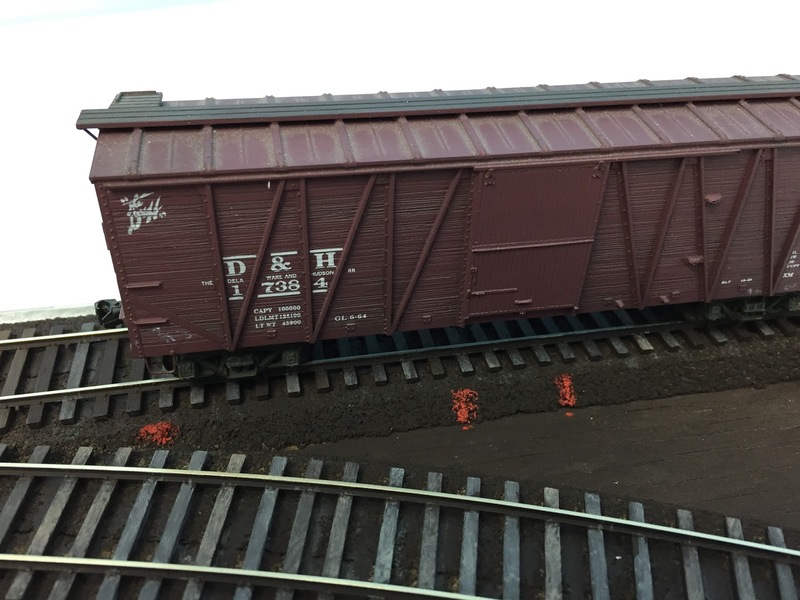 Here, I spotted the hopper over the pit to confirm that the cars wouldn't foul the adjacent siding for Stan-Chem. The red marks show the fouling point as well as the loading door area - marks which will be helpful in determining road and loading dock locations later. Now I'm in the process of mocking up different structure ideas - with the caveat that I really don't have much of an idea of what should be here. The fun part (and I mean that sincerely) is that since this area is mostly freelanced, I can do pretty much anything that's plausible. And I might even be able to use stuff that I have on-hand. 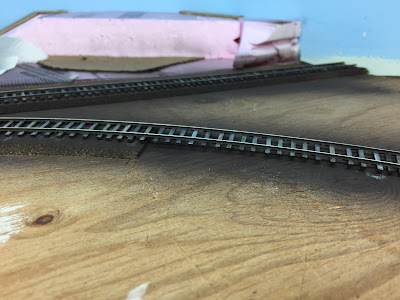 For example, I have this really cool stack that I got from Sylvan models years ago, and precious little chance to use it on a sleepy branchline. But here I think it'll work perfectly to exhaust smoke from the kiln. And you can see the enlarged pit area there on the right. I'm still trying to figure out just the right type of structures though. 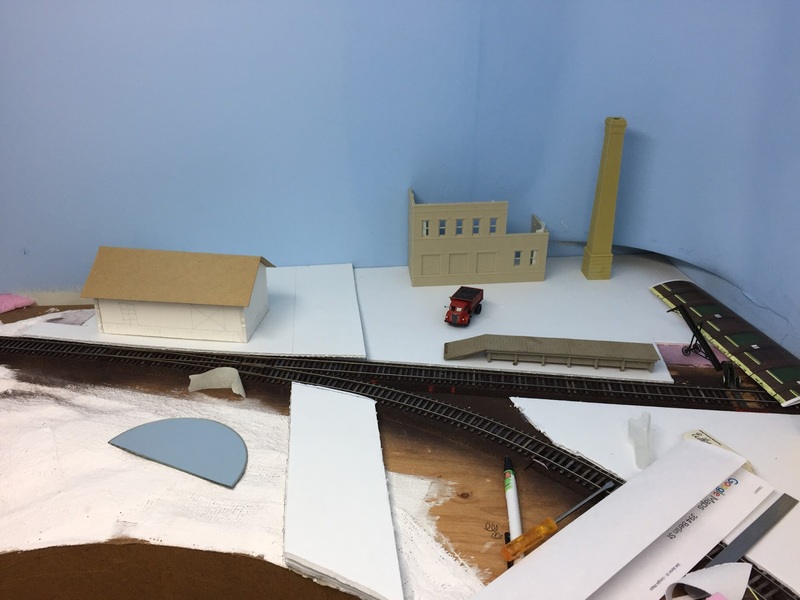 The station on the left is pretty well set (and in keeping with the prototype, it'll be heavily weather-beaten/abandoned), and I'm liking that building with the two rooflines better than what I had in the previous photo. Over on the right (unfortunately fallen down) is a printout of a one-story brick building that is a stand-in for a kiln. Haven't decided how best to approach the kiln though. But the loading dock pretty much has to go where I have it mocked up. 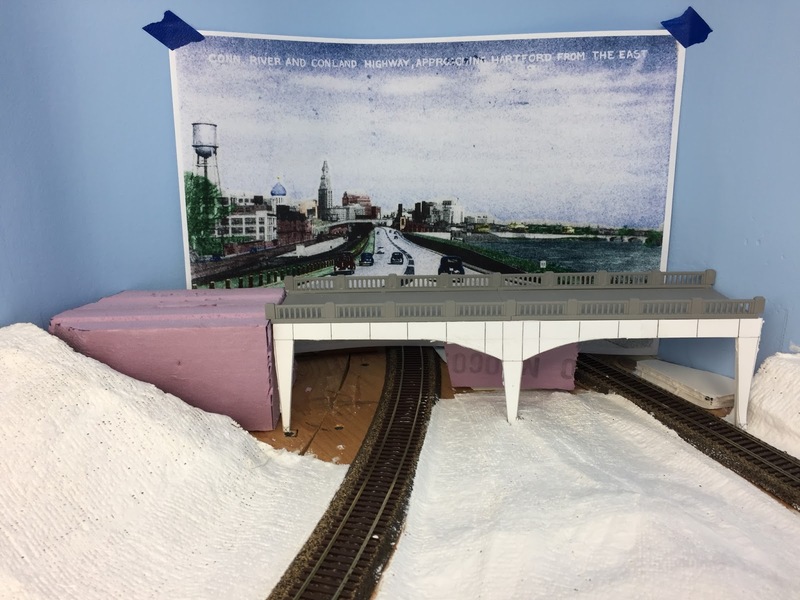 The final model will be a concrete dock with the ramp going toward the back (into the yard). And - after a LOT of vacillating (I know, shocker) - I finally finalized the street location. I had tried it at a perfect 90 degrees to the track, but that would have caused it to hit the back wall at an angle and would have reduced the area available for the brickyard. I also considered curving the road to the left behind the station - but that'd be unprototypical (I know, I've already breached that rule here, but I'm trying to be good!) and it'd still hit the wall at an angle. I finally opted for a straight road (per prototype) that hits the back wall perpendicularly. I think that'll be at least a little easier to blend than an angle. So that's the state of East Berlin at the moment. I hope you'll weigh in with your thoughts, comments, and feedback. 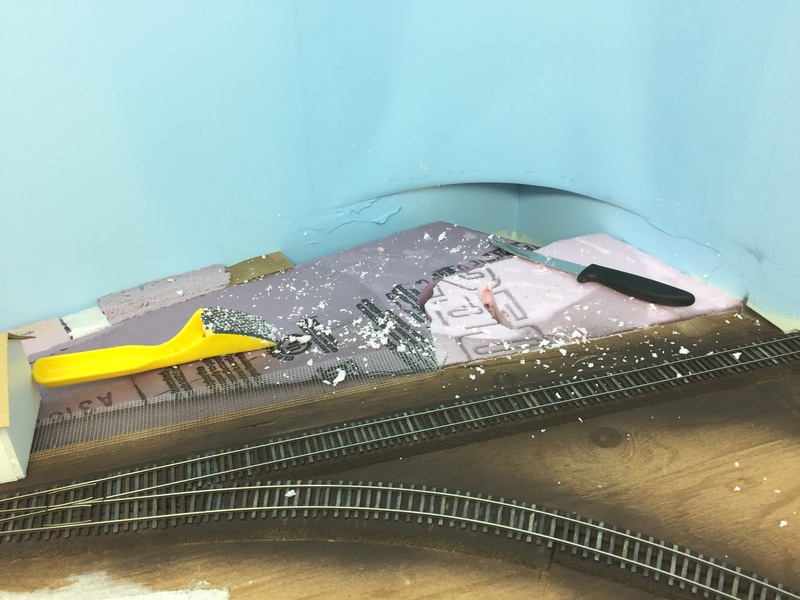 I'm pretty new to this stage of layout construction (heh - I have PLENTY of experience up through trackwork, but that's it! ), so I'd really appreciate the benefit of your experience! 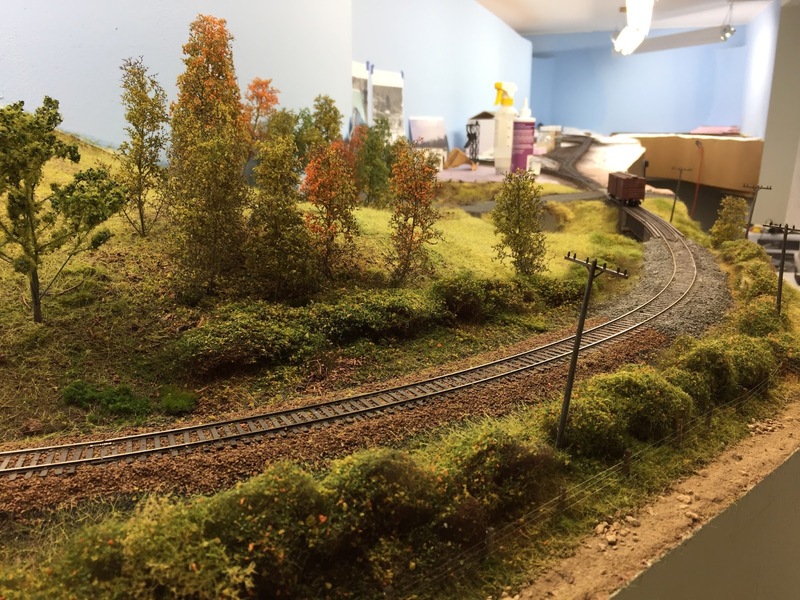 Many of you are likely already familiar with Model Railroad Hobbyist magazine. 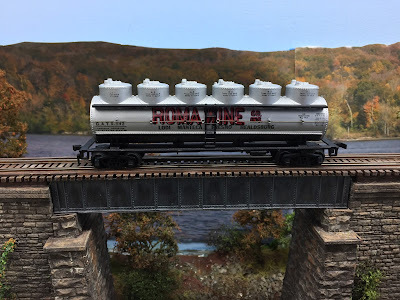 Joe Fugate and his team have done a great job of creating - then dominating - an online space for high-quality model railroad content and I've enjoyed reading each monthly e-zine since they started way back in January 2009. If you're not already familiar with MRH, you're really missing out. Imagine my surprise when they contacted me to do a guest commentary for their "Reverse Running" column! I got to go from being just a great fan of the magazine to being (sort of) a contributor. It took just a little back and forth (let's just say they have amazing editors and leave it at that :^) but it's now arrived in "print" in the August issue which was just delivered today. You can click here to go to that issue or click here to go directly to the article. Check it out when you get a chance and - whether or not you agree with my conclusion - leave a rating and/or comment. It'd be great to keep the conversation going! 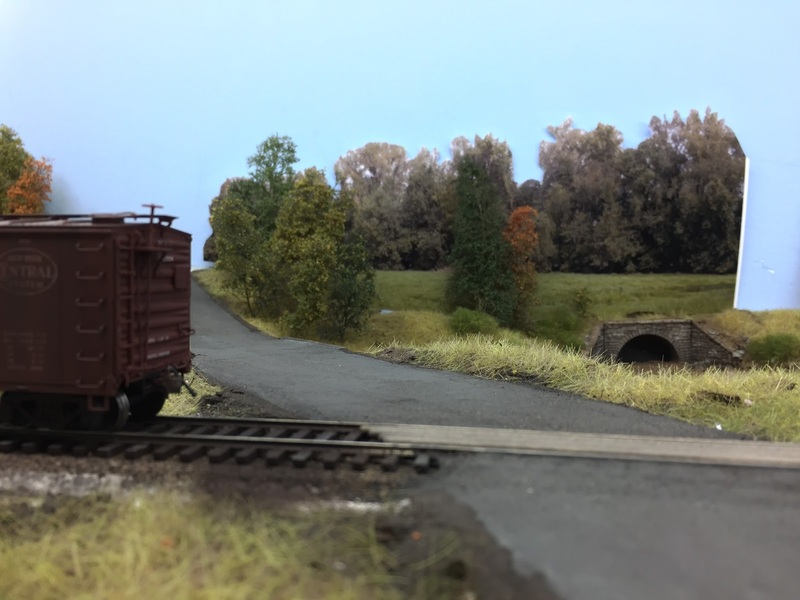 Now that the bridge over the Mattabesett River on the Berlin Branch is built and weathered, it was time to install & test it out. . . While I posted at the end of last October about modeling the bridge over the Mattabessett River in East Berlin, I think I actually finished it months earlier. In any event - and now that East Berlin is starting to take shape along with Wethersfield - it was high time it got weathered so I could install it. 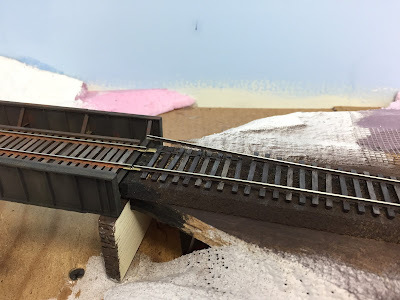 Thankfully, I've recently gotten a lot of experience weathering ties - so I started by weathering the ties on the bridge using the same technique I used for the rest of the track in the area. For the bridge itself, I was going to try and use washes - a little "lamp black" and "burnt sienna" oils mixed in turpentine for oily & rusty residues. But I couldn't get enough pigment to show up and - while I might get there eventually if I added enough applications - I decided instead to break out the weathering powders that have been sitting on my shelves for far too long. 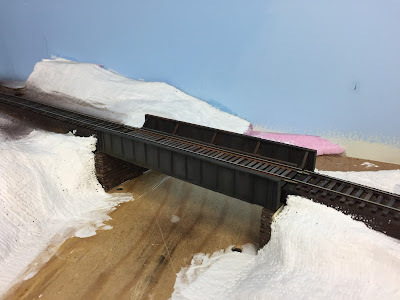 I've weathered a caboose and a few freight cars here and there, but I've never tried weathering a bridge before. 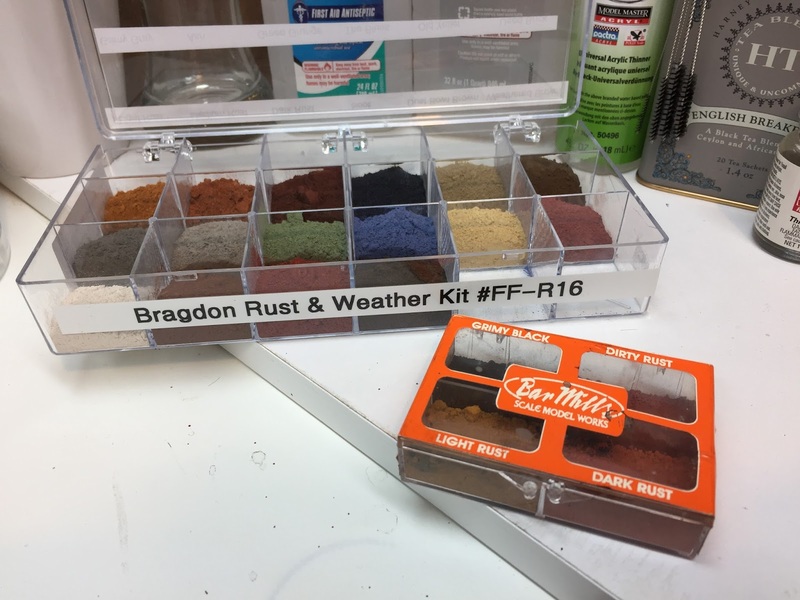 But weathering with powders is, IMO, about as foolproof a weathering method as I can imagine. The results are very predictable - you see right away what you're getting - you can easily modify them (e.g. tone down with a darker color) - and if all else fails, you can rub them off (well, mostly, and it'll still look like weathering). The most important thing is to try and have a color photo of what you're weathering to refer to so you have an idea of what different colors & patterns are most likely. 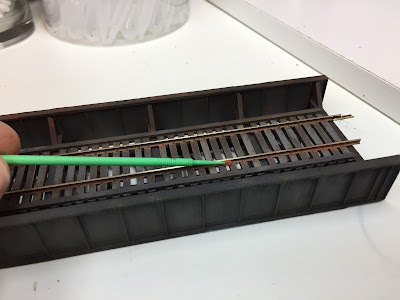 One step that's easy to overlook - and something I'll be doing to all my track after it's ballasted - is to take a microbrush and burnish some rust color on the sides of the rails. It'll hit the tie plates too and really make the rails stand out realistically. 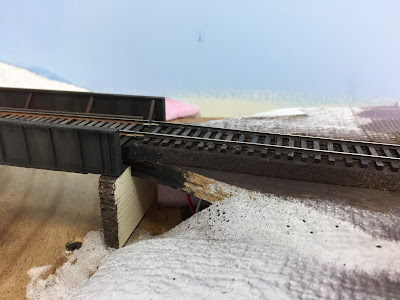 So there you have it - my first-ever weathered plate girder bridge. As always, you can click on the image to make it larger. I'd really love some feedback and (hopefully positive) criticism. How would you have gone about it? Any tips/techniques to share? 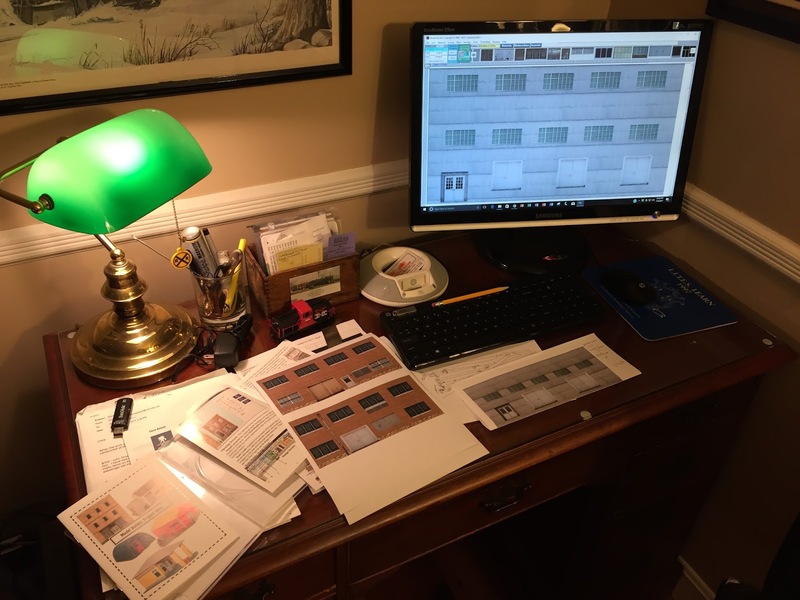 I've been enjoying riding a wave of motivation lately - one of those all-too-rare times when everywhere I look I see projects I can do Right Now, instead of being overwhelmed with too much to do and no oomph to do anything anyway. And when those waves come, you'd better catch them or risk getting swamped - distracted by something else. Looking northbound toward Goff Brook and Wethersfield. Note the line poles, heavy brush long the ROW and the farmer's field in the foreground (complete with wire fence). Goff Brook Bridges - both railroad, and Middlesex Turnpike. 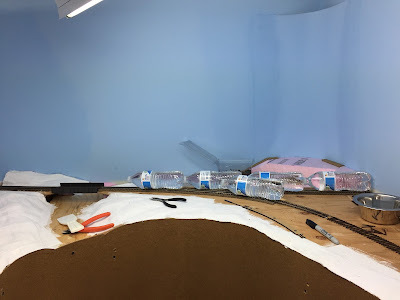 Water still needs to be added, and need to figure out how to deal with the road heading into the backdrop, but this seen is really taking shape. View of the edge of the (semi)finished area - really need to figure out that road/backdrop transition. 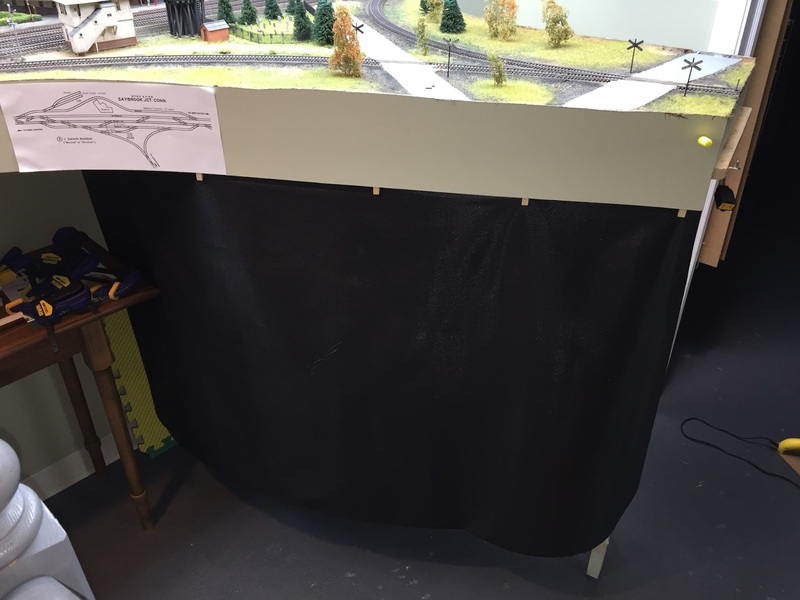 We'd debated whether to use a photo backdrop, but the mockup here makes it a no-brainer - I'll definitely be using them wherever possible. Valley Coal area, looking north toward the station area. 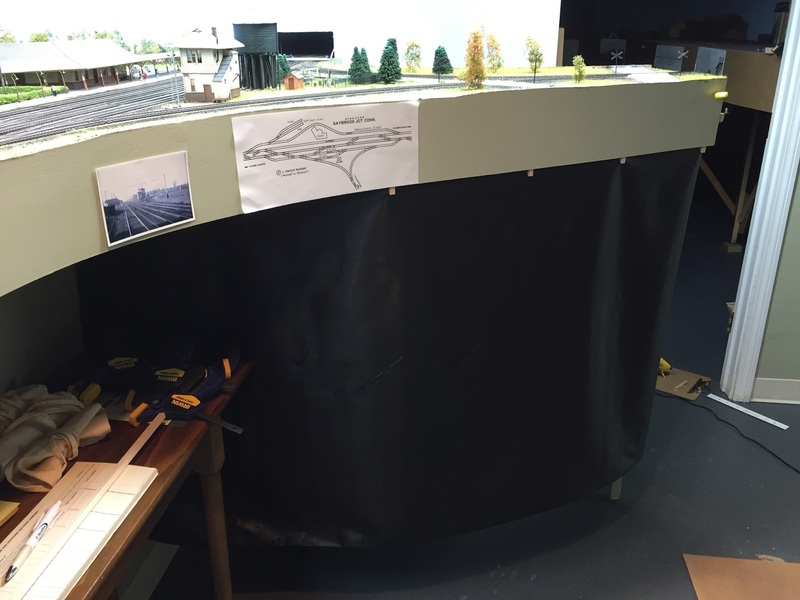 Note the use of old sheets, foamboard, and cardboard to protect the blue backdrop. It also helped that the exhaust fan was pulling air out the window to my right. Station area looking north towards Wethersfield Lumber and the Rt. 15 bridge area. More use of old sheets. 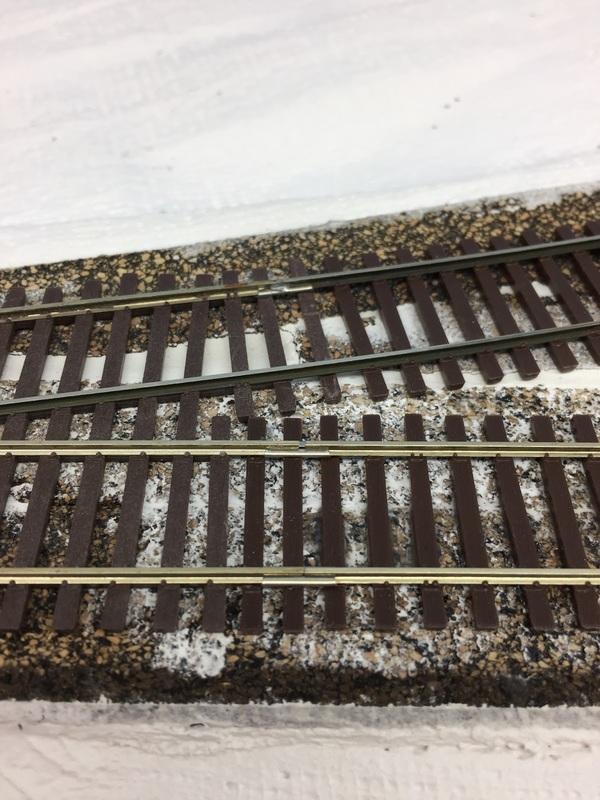 Once the base coat (Krylon Camouflage Brown) was dry, it was time to try weathering the track - which at this point means weathering the ties. 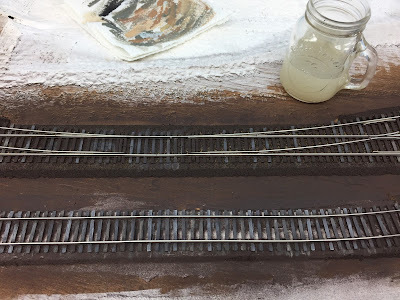 I'd planned on trying Mike Confalone's method using Polly Scale colors (concrete, mud, dirt), mixing them 70:30 with water to form a wash, and applied randomly to the ties. But I found that method to be a little too unpredictable for my (OCD/left-brained) sensitivities, and I didn't want to have to wait until everything dried to see what I'd end up with. So after Bill showed me how he does it using a dry brush technique, I decided to try that. And it worked out great. Those that know me know how scary this photo is - first time I've ever used a pallet palette, and look at all those paints! I used primarily "Apple Barrel" matte acrylics that I got for 50 cents each at Wal-Mart. They come in a wide variety of colors, are water soluble and dry dead flat. Close up of the Wethersfield House Track - right side shows the track with just the Krylon base coat; next to that - and above - shows the result of the drybrushing. I didn't expect there to be such a dramatic, and positive, difference! I found I used mostly the Territorial Beige and Pewter Gray. Black (or water) did a good job of toning down any ties that stood out too much. 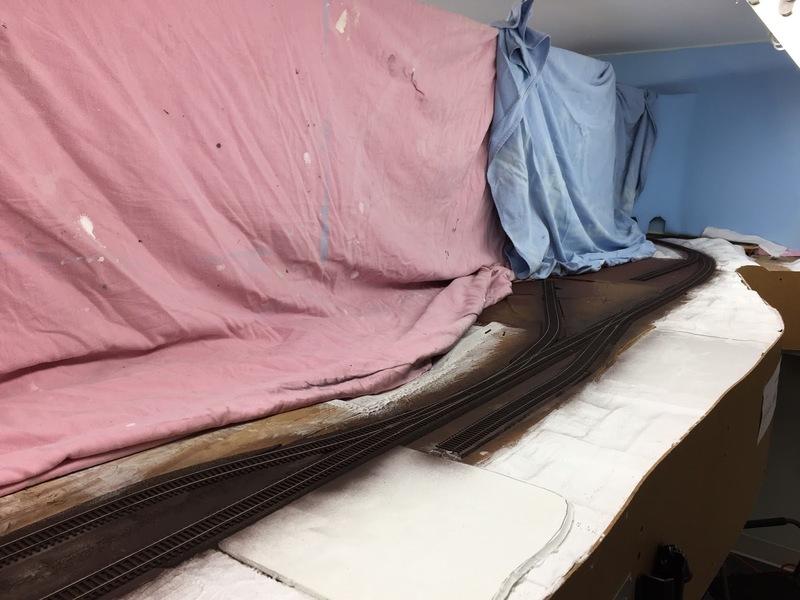 All track in this area done - note the (maybe too-subtle?) 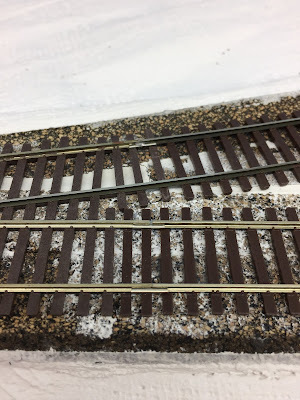 difference between the house track/siding and the mainline. 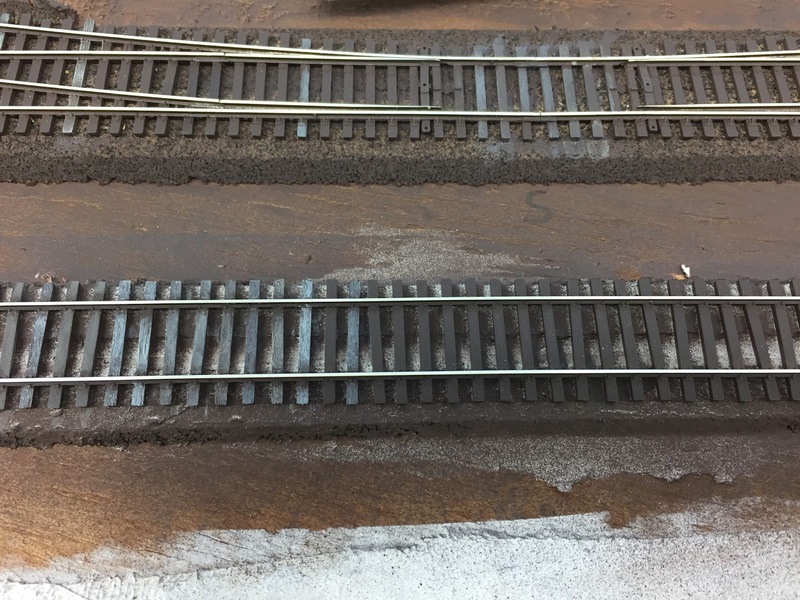 Though the Valley Main - as secondary track - is weathered somewhat, the siding is even more heavily-weathered in keeping with its lowly status. 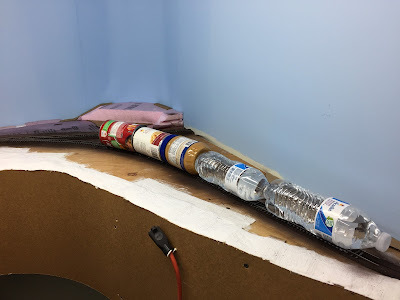 The technique is really simple - just choose a few different shades of gray and brown, dip your brush in and wipe it (almost) all off on a paper towel, then apply - randomly (tough for an OCD-er) - to the ties, varying color as well as coverage. Sidings should have just about every tie weathered and be lighter in color, while the main should be darker with some new ties here and there. 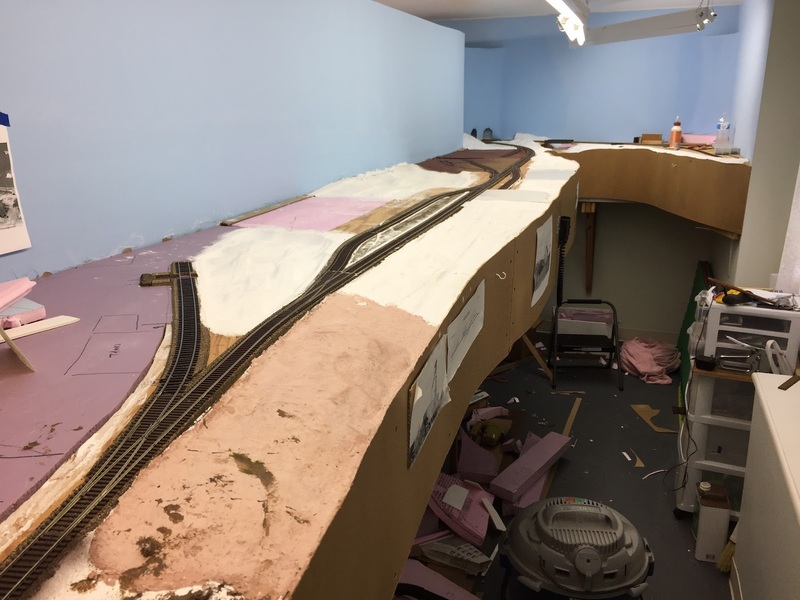 I admit, this process does take some time (and it remains to be seen how noticeable it'll be once the track is ballasted and the scenery is in), but after the initial 10-15 minutes' acclimation it goes fast. 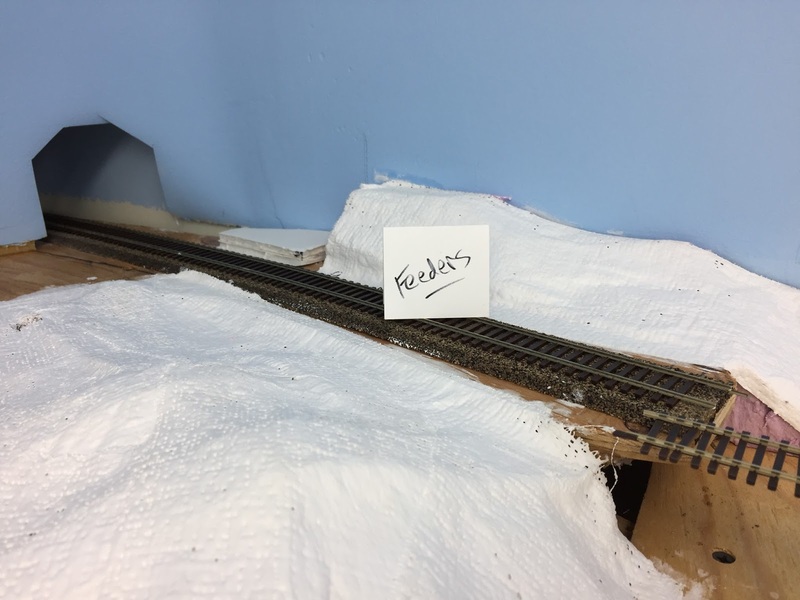 I did all the track from Goff Brook through Wethersfield to East Berlin (+/- 35' of track, including sidings) in about 3 hours, start to finish. But the time was actually enjoyable (helped with some podcasts) and surprisingly therapeutic. Unfortunately, it was only after I did all this nice tie weathering that I started to reconsider the Stanley Chemical siding in East Berlin. 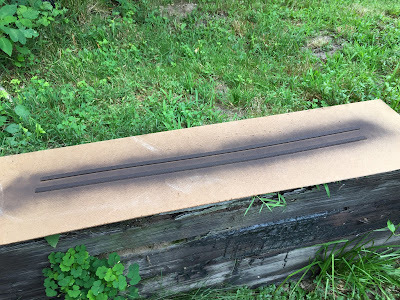 Figuring this siding would be buried in the dirt, my original plan had been to have it make its way down from the main (on full-size (1/4"?) 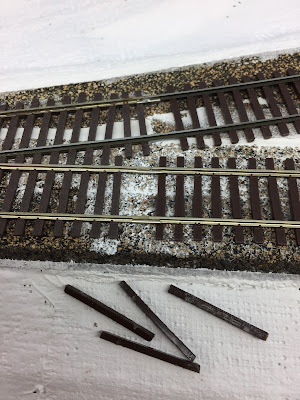 HO cork roadbed) to plywood level. 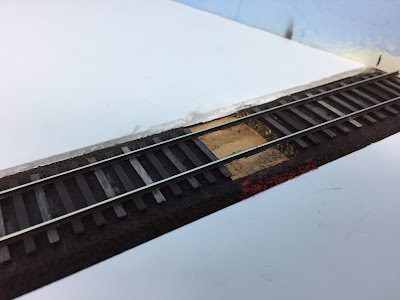 I rasped the roadbed down to make a nice transition with no vertical kink - but there's still quite a gap. 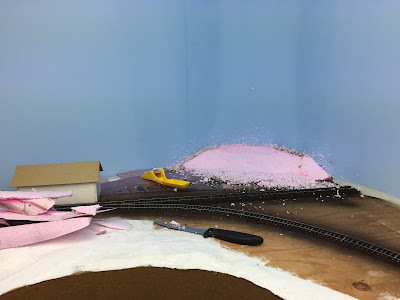 While I figured I could fill the resulting gap easily enough, I was worried that the track would actually be too low once I added ground goop and scenery. 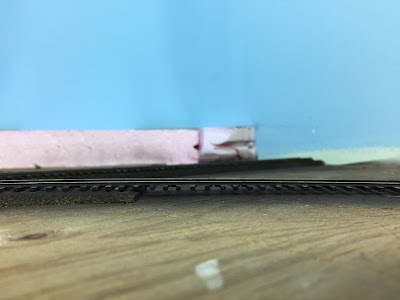 So, figuring it would be much easier to build terrain up to cover the track rather than have to live with pancake flat plywood, I decided to add some N-scale roadbed underneath this siding as I had the others. Since I certainly didn't want to re-do all that nice tie weathering, I prepainted the new roadbed outside rather than in-place as I had all the others (again using the Krylon camo brown). 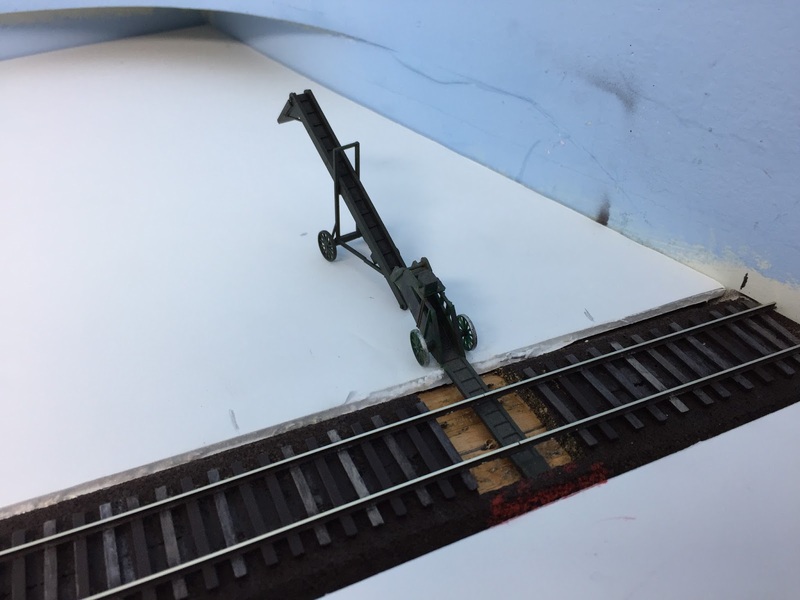 Then I had to carefully lift up the track, apply glue to the plywood, slide the roadbed underneath, apply glue to it and then lay the track back down - weighing it all down at once. Of course, it would have been best had I figured all this out sooner - but this is yet another in a long line of examples of how easy it is to re-do and/or have a do-over. And that dawning realization is really helping me with my usual Analysis Paralysis. As the Nike commercial says - Just Do It. 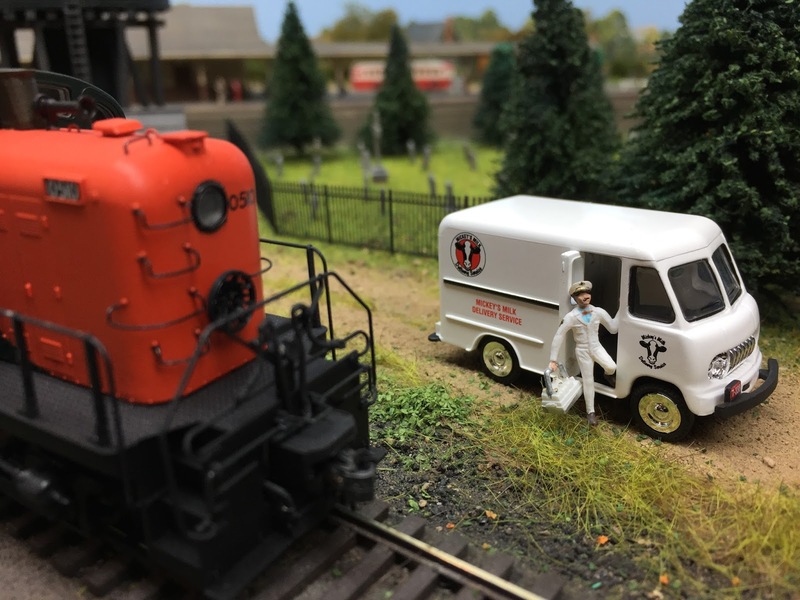 And as any experienced model railroader will add, And don't be afraid to do it over. There's no such thing as a mistake - just a learning opportunity, right? If we can just remember that - and really take it to heart - I think the waves of motivation will continue to come in and give us a great ride. 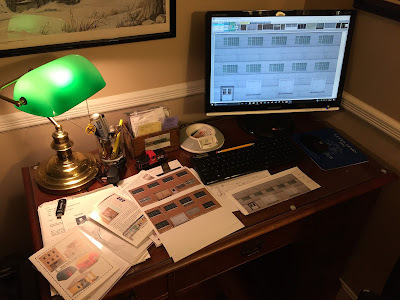 In addition to working in Wethersfield, I've been trying to beef up the Valley Local website with distilled versions of the information scattered all around on this blog - as well as some new website-only content. So be sure to head over to http://www.thevalleylocal.net and check it out. Addition highlights include a whole new section on "Prototype Inspiration" where I've posted some of the photos that really got/get me into doing this project (along with a very evocative essay on the Valley Local by Tony Koester, courtesy White River Productions), photos of some of my modeling, and an extensive new "tips" section which has a lot of information I think you'll find useful. 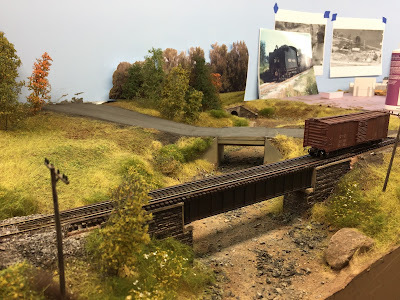 There's also a new "accountability" section <g> where I post my layout goals & highlights, mostly so I don't forget them, and I've added a lot of content to the "Trains of Thought" section as well as the "Projects" section (found under "Modeling"). These are just the highlights - lots of other stuff has been added in the past couple of weeks. So if you have some time during your morning coffee break or lunch, browse around and let me know what you think - and if there's something more/different you'd like to see. Rt. 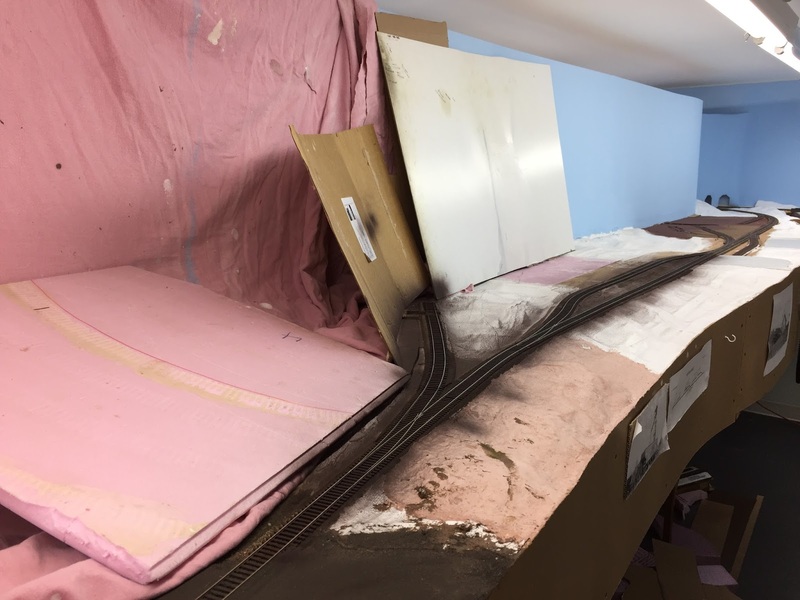 15 Overpass Update and Things to Do Before You Paint Your Track! 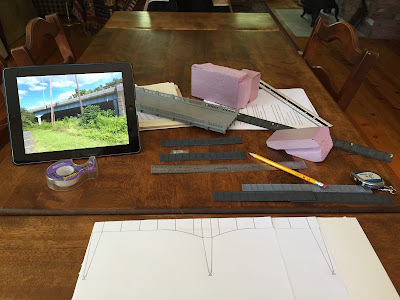 I drew (like, with a pencil and ruler - nothing computer/fancy) my best approximation of what the support girders will look like under my model of the Rt. 15 overpass, based on the prototype photos, the bridge model I expect to use for the deck, and the space I have. 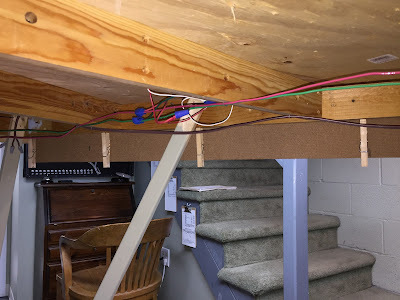 As you can see in the "proof-of-concept" photo above, it looks like it's going to work out well. Thankfully, my buddy MikeR is doing some computer/fancy drawing in Sketchup for an actual resin master of these parts. VERY exciting! 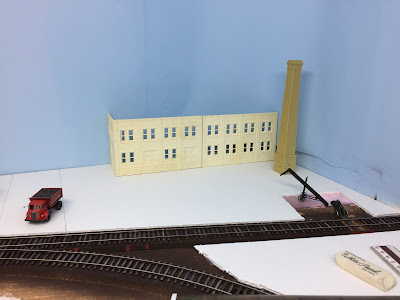 Lest you think otherwise, I'm not totally computer-drawing-phobic: I've been fooling around a bit with my Model Builder software in an attempt to create some building mockups for East Berlin (specifically, Stanley Chemical and the Kane Brickyard). Unfortunately, I've found the learning curve to be just a bit steep, so I need to take a break from time to time and do something simple. The only downside to how fast Bill works is that sometimes we get ahead of ourselves a bit. Case in point - we (I) almost forgot to paint the track before the scenery went in at Goff Brook. It would have been a pain to have to hand paint it later - it's MUCH easier to get out the rattle can and shoot it with abandon. And that was the plan for this past weekend - get all the sensitive stuff (structures, rolling stock, etc) out of the way, put up some masking/dropcloths and have at it. All ready to paint - well, gotta block off/mask some areas but at least all the stuff's removed. Slightly round off that hard corner at the top/tip and file the end edge to fit super snugly against the stock rail. Do for both points. The points are fed electrically at two (well, four) points: Primarily where joined to the closure rails, and secondarily where the points come into contact with the stock rails. 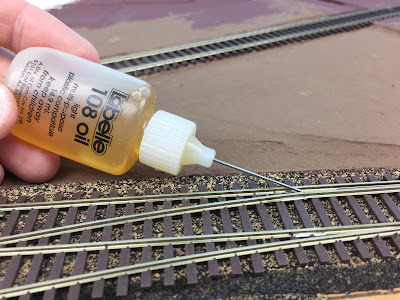 That secondary point can be easily cleaned after painting, but to keep paint from gumming up the point/closure rail connection, I add a drop of plastic compatible oil, as above. Filler ties are easily overlooked until after you're done spraying. Best to put them in beforehand so they get the same base coat as all the other ties around them. Important note: You'll want to be sure to shave off the spikes from any ties you use as filler ties (or, better yet, use thinner profile ties). 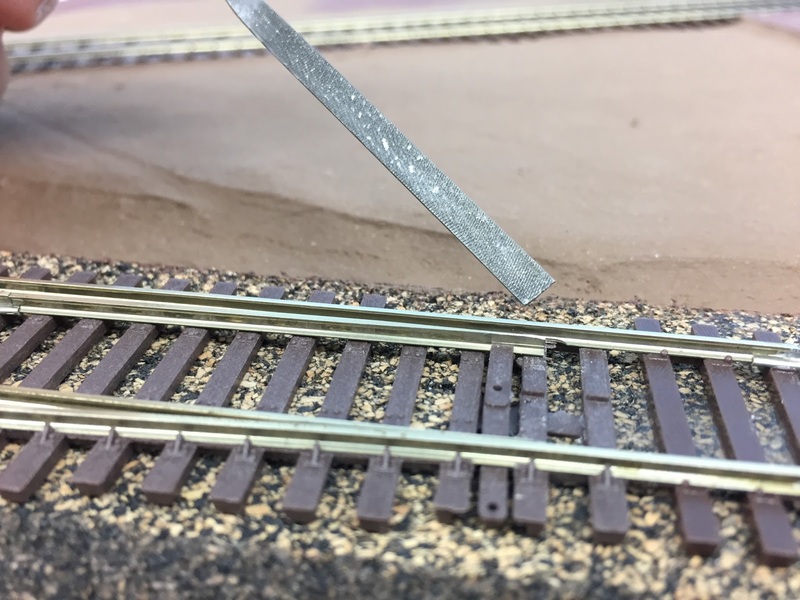 Otherwise, you'll risk creating a vertical hump/kink at the rail joint which is just asking for a derailment or separated couplers. Ah - that's MUCH better looking and ready for painting. But don't get out the spray can just yet! 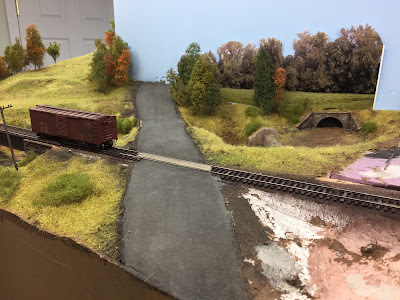 We haven't had any ops sessions using the Berlin Branch - heck, the trackwork isn't (wasn't) even completed there - so I hadn't bothered putting feeders in yet. 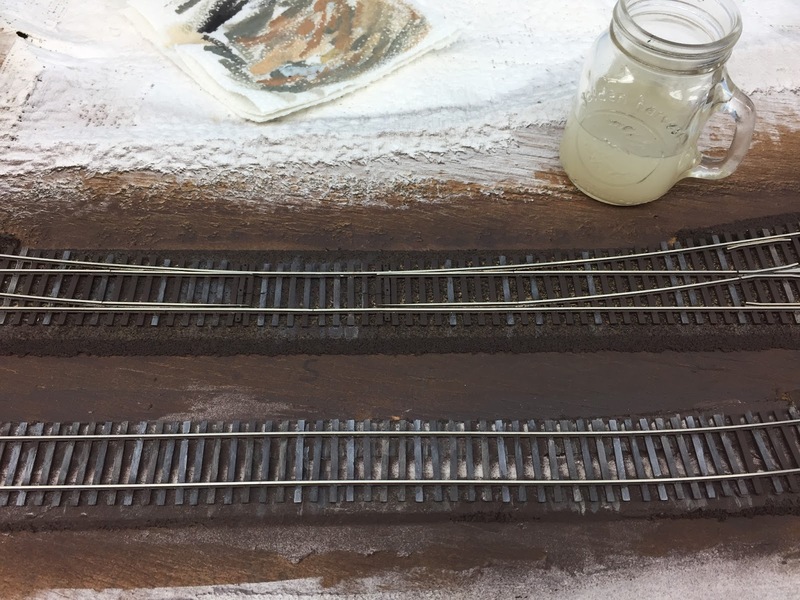 But it's a VERY good idea to get those in before you paint the track 1) because it's much easier to solder feeders to clean/unpainted rail, and 2) because painting the track will cause those solder joints to disappear. So the little sign above reminds me that I've got to put some feeders in. And that's the current state of things. Next step is to remove the bottles, install the feeders, and mask everything off. THEN, and only then, will I actually be ready to paint my track. The first - and until recently, the only - HO model of a Roma Wine tank car I'd ever seen. An eBay find, it's probably Tyco or AHM. All I know is it has "Made in Austria" embossed on the bottom. BION, a prototype photo can be found here. 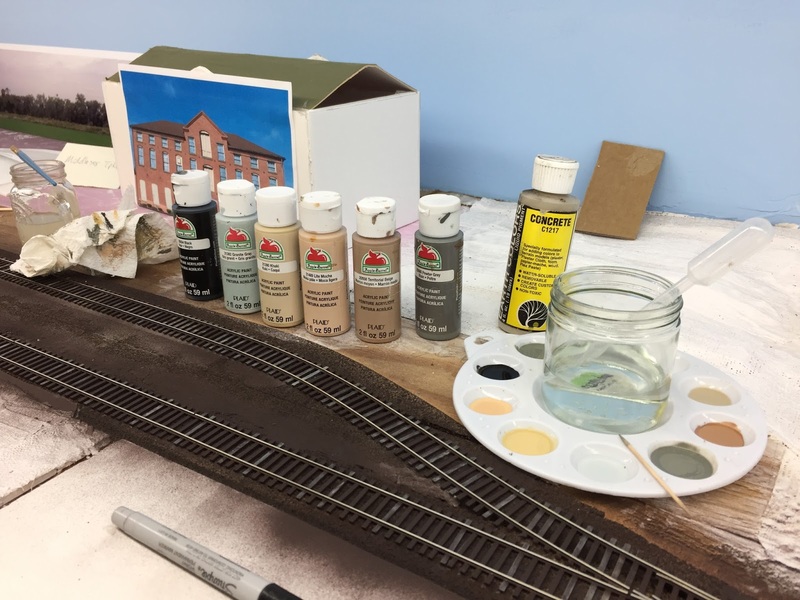 Longtime readers know that I consider Trevor Marshall a great example of a prototype modeler and he's doing a beautiful job depicting the Canadian National's Port Rowan branch during the 1950s (in S scale, no less). 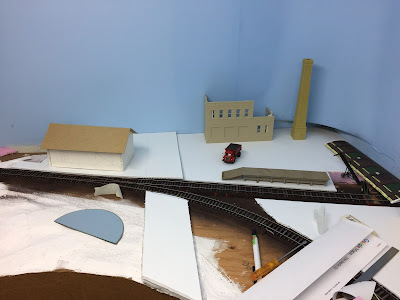 But recently, he departed - ever so slightly - from strict prototype emulating to include a little mini-scene that most likely never actually happened. I won't spoil it for you, so click here if you haven't seen it. . . 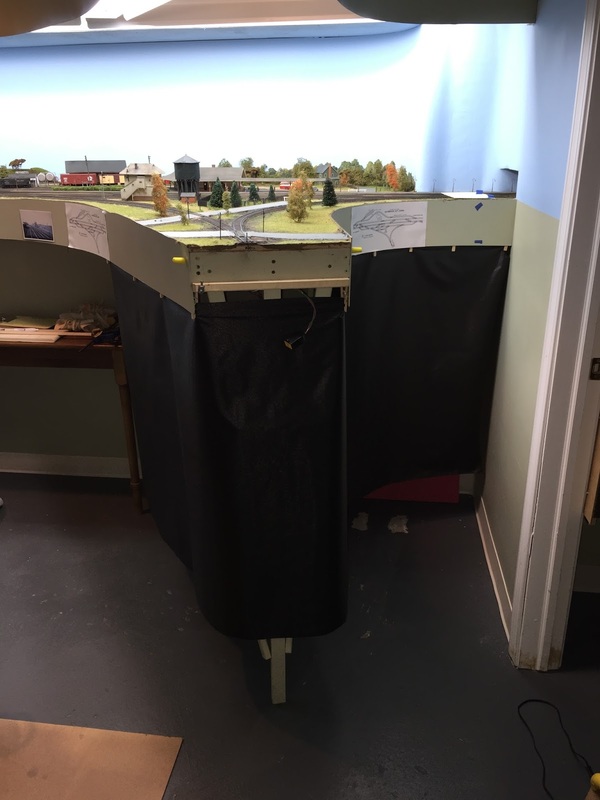 The post he wrote on this scene - as well as the backstory - gave rise in the comments to a brief discussion about the use of whimsy in model railroading. Now, this is a concept that's certainly familiar to those more on the freelance end of the model railroading spectrum - but it's pretty rare among serious prototype modelers who want primarily, if not exclusively, to tell a non-fiction and historically accurate story of their chosen railroad. A discussion of whether - and/or to what extent - whimsy or other elements of fiction are "appropriate" on our model railroads would be very interesting indeed, but beyond the scope of this post. Maybe (likely) some other time . . .
As hopefully you can tell, I have pretty firmly planted my flag on the "nonfiction" end of the spectrum and take modeling the prototype fairly seriously (well, as seriously as you can take model trains :^), but I know I'd really be missing something if I didn't relax this rigidity at least some of the time. Thus, the Roma Wine tank car. 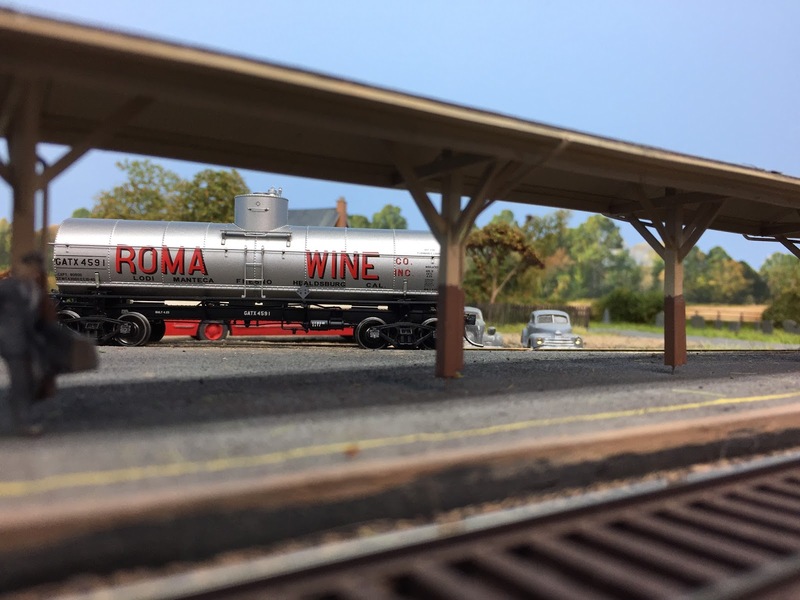 Decidedly not the Roma Wine tank car I first purchased, here spotted on the house track at Old Saybrook. 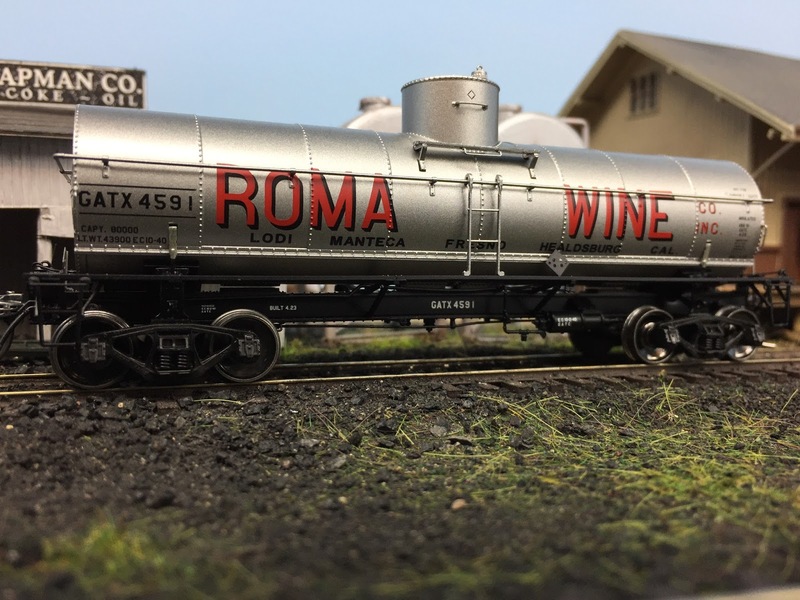 Click here for some info on Roman Wines, including photos of prototype and model freight cars. One of the reasons I depict the era I do (late 1940s) is because I find everything about the post-war period fascinating - the music, the movies, the radio shows. Especially the radio shows. 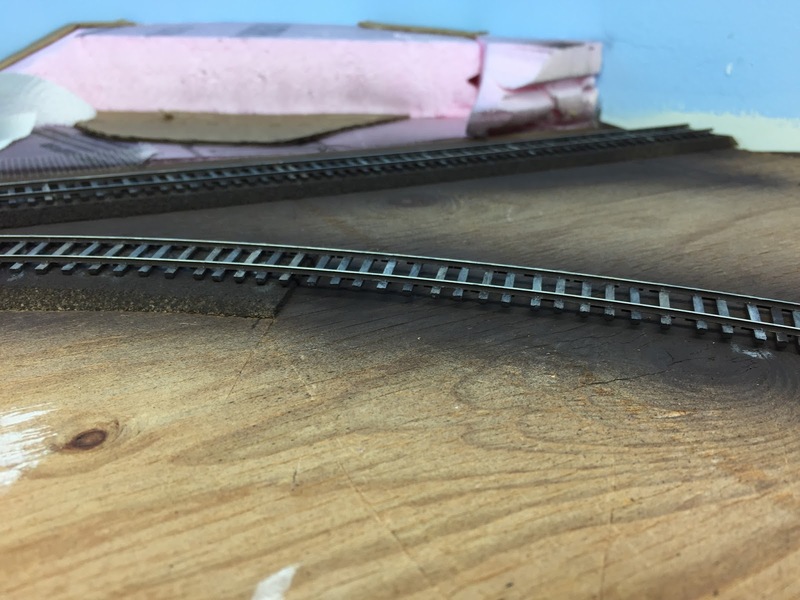 I'm often listening to my favorites (Bob Hope, The Shadow, and just about any detective series) while working on my layout. But perhaps my most favorite show is SUSPENSE! which aired for over 20 years but had its heyday during the late 1940s when Roma Wines was its main sponsor. 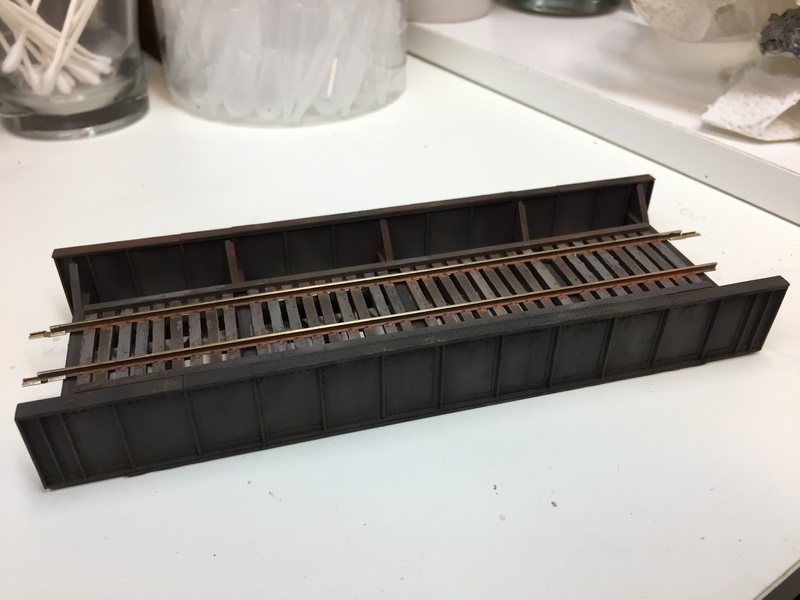 Now, I haven't impulse-purchased a freight car in a long time - my friends know that I obsess deliberate over additions to the railroad and being a strict prototype modeler means having to say "no" to a lot of purchases. But when Tangent recently announced its new tank car model (a General American 8,000 gallon 1917-design insulated radial course tank car, if you must know) and one of the offerings was a Roma Wine tankcar, I just had to get one! Does it matter that I have no place on my entire layout that would receive such a car? No. Does it help that it's possible one may have, at one time or another, been seen in a freight train between New York and Boston (and thus pass through Old Saybrook)? Admittedly, yes. On Track 6, as seen through the platform at the Saybrook station. This purchase represents just one very small step towards "what-might-have-been" rather than "what-was-and-can-be-conclusively-proven-with-photos-and-official-documentation" but I think it's a large step towards a little more flexibility and likely a lot more fun . . . Despite my recent hemming & hawing, I'll be hosting my first NMRA Regional ops session in a few months. So in preparation for that I've created a new section over at the website called "Valley Line Crew Info" where new operators can get oriented as well as find additional information and details on the layout. 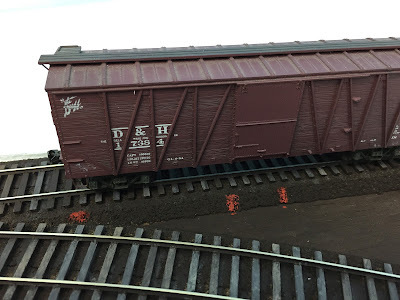 The goal is to provide a great "first introduction" to Valley Line ops and (hopefully) answer ahead of time a lot of the questions that first-time operators might have. But it's most definitely a work in progress. So, especially you more seasoned operating veterans (and most especially anybody that's operated the Valley Line before), please weigh in and let me know if I'm forgetting anything and what else would be helpful to add! 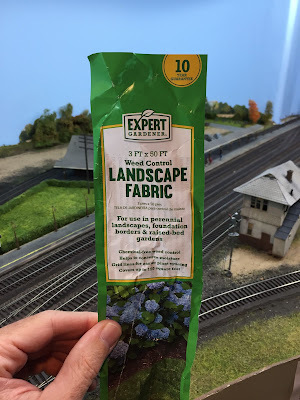 I posted this over at the Model Railroad Hobbyist site, but wanted to be sure and get input from those of you here that don't make it over there . . . So - what functions do you use the most and what buttons do you have them assigned to? I've been having a good time playing around with my new LokProgrammer and have been pleasantly surprised by how easy it is to change function mapping. Perhaps TOO easy . . . because I just can't decide how I want to map the buttons. I have an NCE system and am using Select decoders with Full Throttle. Unfortunately, the independent brake is on F10 (which requires the shift key) and the "hammerhead" throttle display only shows the status of the first 6 function keys (I know when I'm plugged into the cab bus, I can hit the EXPN key to get the status of the other keys, but that doesn't work when I'm operating wirelessly). So I've been playing around with different function key button assignments, especially for the Drive Hold and Independent Brake. The line I'm modeling is pretty flat, so I don't need dynamic brakes and the Run8 & Coast features aren't really necessary. Figuring many of you are further down the road on this than I am and have much more operating experience to glean from, I'd love to hear what functions you use most and what buttons have you assigned them to!